This labor day,lets reflect on how patients suffering from keratoconus have to live their lives. Wearing thick glasses which give headaches, glare and at best only blurry vision. Another choice till now has been the very irritating contact lenses. You ca even put lipstick on a pig, but it still remains a pig. I am referring to some attempts at putting jewels on contact lenses to make them more attractive. These bulky pieces of plastic require a lot of motivation and sel flagellation. Whether these induce rubbing and cause further deterioration of keratoconus is debatable. What is not debatable is visiting Beverly hills keratoconus expert, dr.khanna and learn more about what might be beneficial to you. Yes you can use your medical insurance for this visit. A dentist mentioned she was in pain after Intac surgery. So what are the causes for pain after intacs surgery. Intacs, as you may recall are small plastic segment which are implanted in tunnels created in the cornea. These tunnels are created at a predetermined depth. The thin cornea with bulging apex is typical of keratoconus. Intacs push up this weakened corneal segment to come in line with the line of sight. The pressure exerted from the intacs segment can induce tension which may be felt as pain. Studies have shown that intacs may impinge on a corneal nerve causing persistent pain. Other reasons for pain may be corneal drying, erosions or a stitch. A proper corneal evaluation done by an intacs expert can help diagnose the cause of pain after intacs insertion procedure. We are proud to report that thanks to the effort of Khanna vision institute in thousand oaks, and the congregation of a Sacramento pastor, the pastor can see again. Sight is important to see that sermon and the path to the pearly gates. Sometimes the lord tests us by throwing keratoconus our way. Before he creates the problem, he plants the solution. The solution this time was the Beverly hills keratoconus expert and his intacs surgery center in westlake village. The test was contact lens intolerant keratoconus in the eyes of the sacramento pastor. The old adage where there is a will there is a way, hold true here. This wonderful man found the path from sacrament to westlake village to have his intacs surgery performed by dr.Rajesh Khanna. He is thrilled. He can once again see 20/20. His followers and well-wishers feel so happy about this miracl of sight restoration. The doors to heaven may be guard by the doors to Khanna vision institute are open to all with problems of keratoconus . 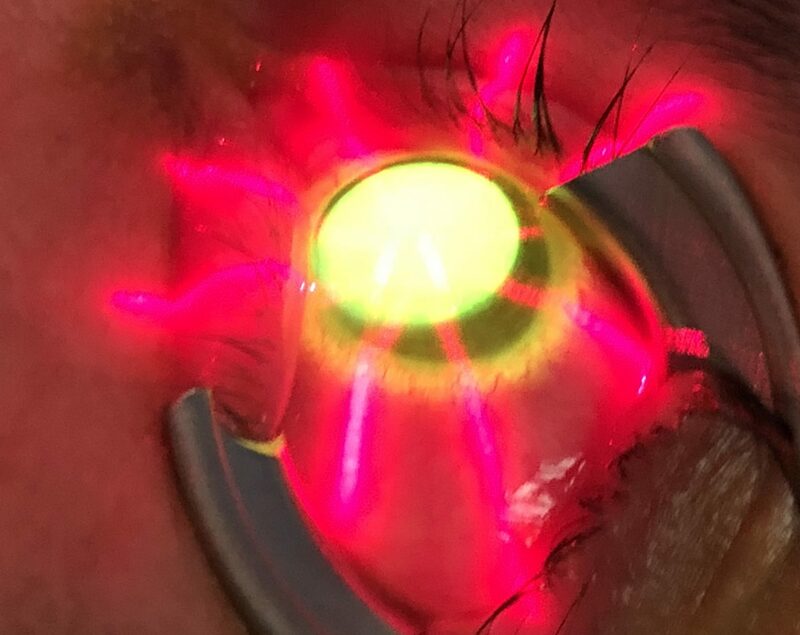 Los Angeles keratoconus expert dr. Khanna will be happy to inform the residents of Los Angeles, Ventura, riverside and surrounding counties about the latest treatment modalities of keratoconus with emphasis on corneal crosslinkage. This treatment is performed in our Beverly hills surgery center. We use epithelium off technique with riboflavin. Please feel free to bring all your questions to this free seminar. Los Angeles keratoconus expert dr. Khanna is responding to requests of keratoconus patients in California especially orange county, Ventura and Los Angeles county. This keratoconus and intacs expert will host the session. You can ask any questions relating to this newer technology of intacs. Intacs is FDA approved and made by additional technology. Some of previous intacs patients may grace the seminar. Keratoconus expert Dr. Khanna – will be holding Free patient seminars across southern california in Januarary and Feburary 2011. The seminars will discuss the disease of keratoconus and treatment options including the latest on intacs and crosslinkage therapies. Rajesh Khanna, MD is a Beverly Hills Cornea Surgeon and Board certified by American Board of Ophthalmology. Early keratoconus can be masked. Some patients report a small blur in the vision. When they visit an eye doctor there may not be much to detect. Glasses may do the trick and patient goes back home only to realizes glasses don’t give him great vision. Gradually the keratoconus causes frequent change in glasses. Its important that they seek a keratoconus expert. In los angeles we have dr. Khanna who is a keratoconus expert. He is a professional who is considered an expert in the field of keratoconus.